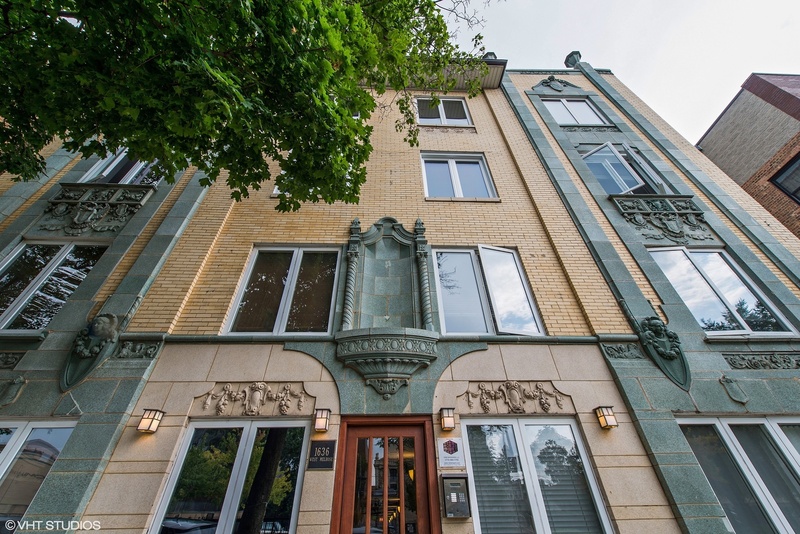 Perfectly situated in a beautiful historic building in Lakeview, this charming 2 bed/2 bath is loaded with tons of natural light, cathedral ceilings and tree-top views. Along with an open floor plan, this unit comes with maple cabinets, granite countertops, hardwood floors in main living space and a gas fireplace. Brand new carpet in bedrooms and fresh paint throughout make this unit move in ready. Large common rooftop deck is conveniently one flight up with 360 degree views, includes furniture for relaxing and a grill for your entertaining needs. Assessments include cable and there is zoned permit parking on street, along with ample parking options nearby. Located close to the El, Whole Foods and restaurants, this unit is a must see!